Fall is finally in the air, and if you’re like me, you’re anxious to move beyond the hottest, driest summer in Austin’s history. I’m ready to dig in the dirt—and revive my scraggly yard and flower beds. 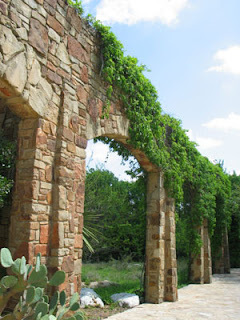 For gardening advice and a great selection of plants, there’s no better place to be this weekend than the Lady Bird JohnsonWildflower Center. 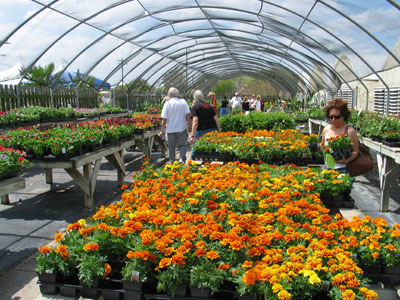 Plan to attend the annual fall plant sale and gardening festival, October 15-16, from 9 a.m. to 5 p.m.
On both Saturday and Sunday, an hour-long walk and talk about native trees for fall planting will be held at 10 a.m., while another walk and talk about drought tolerant plants is scheduled for 2:00 p.m. Book signings, kids’ story time, and lawn replacement advice are also on tap during the festival. If you have reusable 4-inch and one gallon plastic pots, you may bring those for recycling and leave them at the collection bin available at the front entrance. Free cold filtered water is available for filling your reusable water bottle while perusing the planted areas and sale. Wildflower Center members may shop on Friday, Oct. 14 from 1-7 p.m. On Friday at 11:30 a.m., author Amy Stewart speaks about her book, "Wicked Plants," in the auditorium, followed by a book signing until 2 p.m. Admission: $8 adults, $7 seniors and students, $4 UT faculty, staff or students with identification, $3 children 5 through 12, members and children under 5 free.